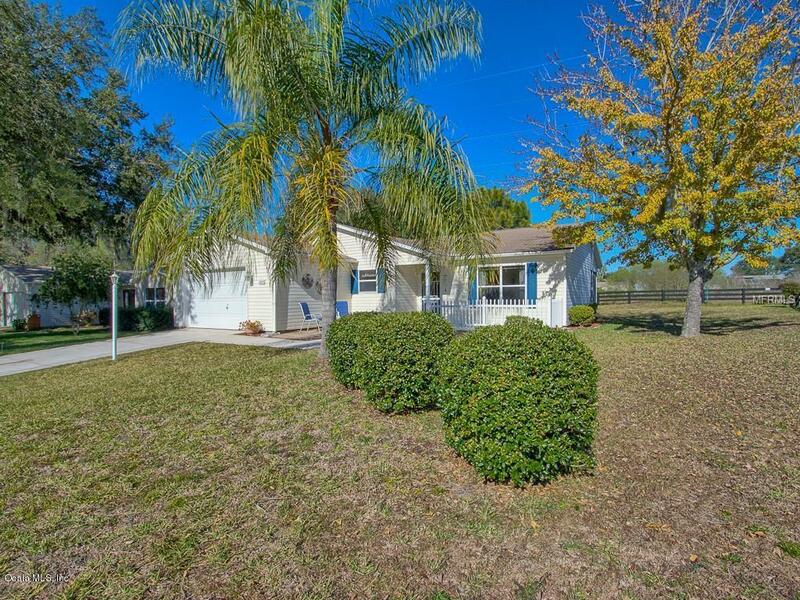 This bright and airy Maverick Ranch home has 2 bedrooms and 2 baths. 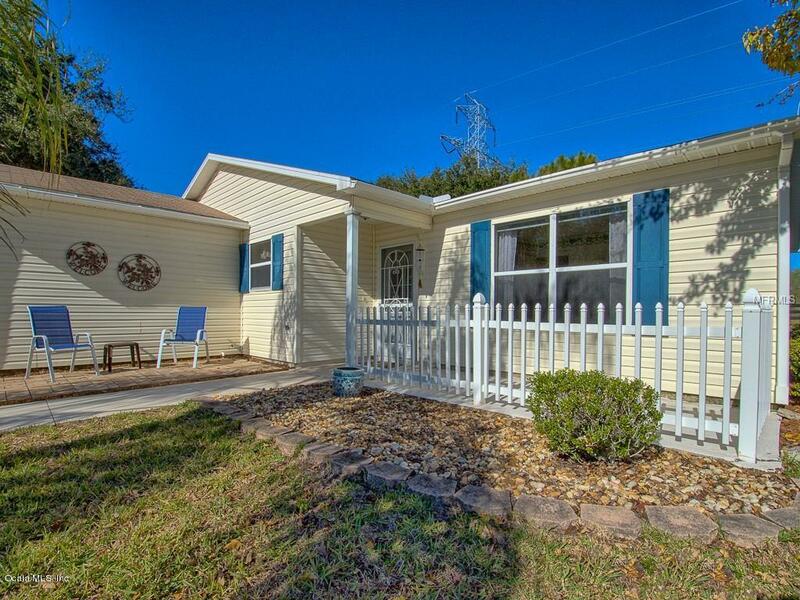 It is located in the Village of Rio Ponderosa, very close to Spanish Springs, equally close to Lake Sumter Landing, and very convenient to County Road 466. (LOCATION, LOCATION, LOCATION)! 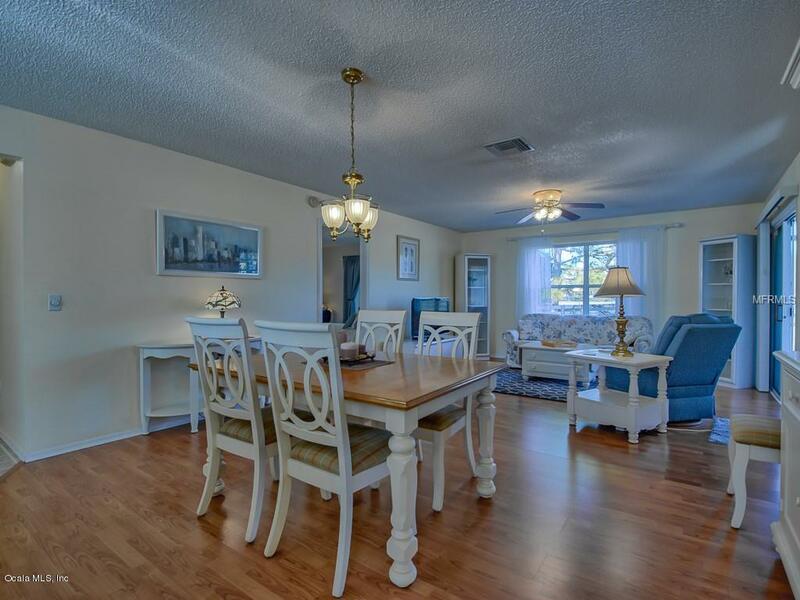 This cute home has LAMINATE FLOORING in the living & dining room with vinyl in the kitchen. The master bath has vinyl plank flooring and the bedrooms have beautifully maintained Berber carpet. The LANAI features a tile floor and IS ENCLOSED with sliding acrylic windows. 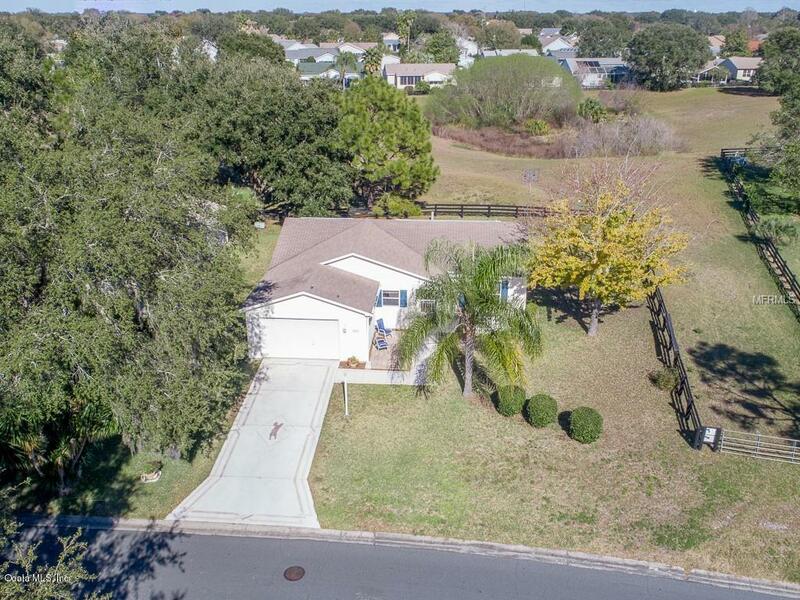 One of the additional terrific features of this home is the large lot with SPACIOUS PRIVACY in both the back and side yard. Situated on an easement, it's also enhanced with a three-board fence. Finally, consider these 4 major buying factors: (1) the BOND IS PAID;(2) a BUYERS HOME WARRANTY is being offered, covering the appliances and utilities; (3) the ROOF IS BEING REPLACED with a 30 year warranty architectural shingles; and (4) although the A/C is original, the house has been lived in only during the winter months since built and is equipped with a humidistat. This all translates to minimal use over the years.